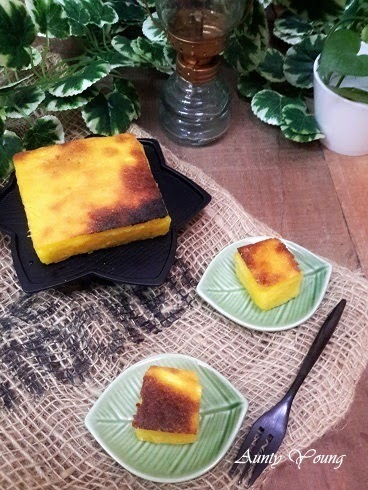 Another nyonya kuih that has been on my to-do list for awhile, this Cassava cake, together with the Choy Kuih, are pretty much my preferences where nyonya kuihs are involved. I used a fruit juicer to simplify the job of grating the cassava. 1. Peel and grate cassava. Leave at room temperature. 2. 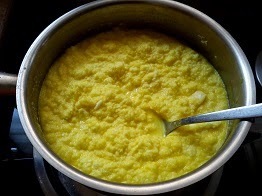 Combine coconut milk with eggs. 3. Boil water and sugar. Melt in butter. Pour this hot solution over (1) and stir to combine. It should thicken slightly. 4. Pour (2) into (3). Stir. 5. Pour batter into a banana leaf lined baking pan. Bake in a preheated oven at 170/180C for 1 hour or until golden brown. 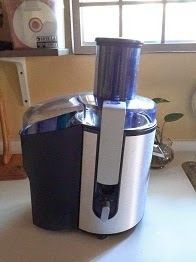 - I used a fruit juicer to simplify the job of grating the cassava. - Only slice the cassava cake after it has cooled completely, otherwise you will get an untidy slicing as I experienced (as shown in the picture). This is actually the results of my second try; the first try had a rough texture because I grated it manually with a grater. Thanks to May, who suggested I use a fruit juicer instead, the second try turned out much more fine and nice! Thanks alot, friend! 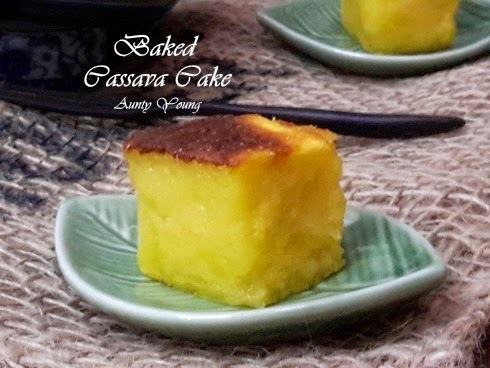 This soft and fragrant cake isn't too sweet and fills your mouth with the aroma of cassava in a bite. The crispy skin really goes well with it too! 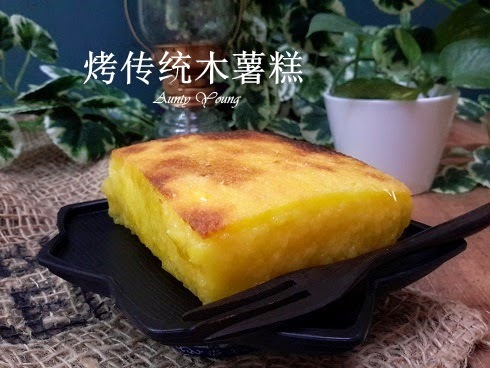 I'm submitting this post to Best Recipes for Everyone March 2015 Event Theme: My Favourite Traditional Kueh organized by Fion of XuanHom’s Mom and co-hosted by Joceline - Butter, Flour & Me. Happy Chop Goh Mei to you & your family, Aunty Young. 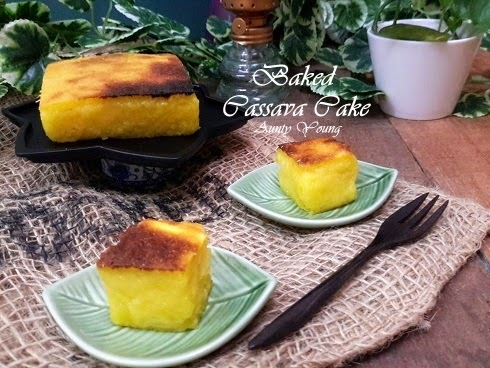 Your cassava cake looks fantastic. Love the crust so much. Never had I thought of using that machine. What a great idea. Thank you for sharing. Enjoy & have a fabulous evening ! This is a old time favorite kind of kueh! 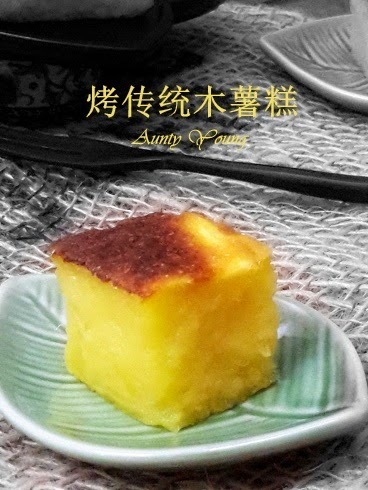 Aunty Young, this is also one of my favourite kueh! I must make an effort to make this at home.